Ahoud A. Civil Aviation Authority Qatar. 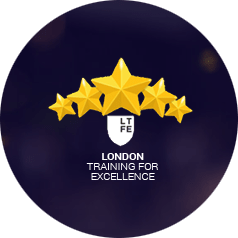 London Training for Excellence offer a wide range of training courses in London for organisations and individuals who wish to advance their skills and knowledge in the business world. With a great training centre in London, UK, London TFE have everything that is needed to understand the basic needs of a business. Each training course focuses on the ‘real-life’ issues a business could face and how to tackle them with ease. London TFE offer a range of flexible short courses that have been meticulously designed for continuing professional development in the work place and will help develop the skills you need. Short courses on offer include sales courses, PR courses & accounting courses. Available now are one day courses, these courses are based to provide tangible training that the trainee can take away and apply almost immediately to their everyday job. One day courses include subjects such as Project Management & Business Resilience. London TFE have a team of enthusiastic leaders and instructors who share a passion for education and want to deliver that same passion to every individual who wish to take a business to succession. Each training courses London encourages individual to aim high and reach their full potential. The iLearn Blog offers practical tips and guides on how to make the most of training courses, how to pick a course and how to apply your learnings.